I am professor Yuan Zhang. This is my first time bring American students to China. Arranging both academic and cultural experience outside of US takes tons of effort and time, very very busy but most excited. 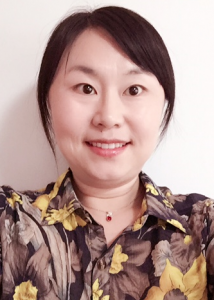 It is my greatest pleasure to make connections and collaborations between UMass Lowell and Shandong University, where I graduated with my BS and MS degrees. Shandong University (top 20 universities in China) School of Nursing, is a top 10 School of Nursing in China and one of the earliest schools that started the BS degree in Nursing in 1980s. The School of Nursing will host us and arrange activities such as university visit, student seminars, hospital observatory and participatory experience, and cultural excursions. Shandong Province is nestled on the Yellow River. Qufu, one of the cities in Shandong, is the birthplace of Confucious. Shandong plays an important role in Chinese history and serves as a pivotal cultural and religious site for Taoism, Buddhism, and Confucianism. Shandong’s Tai Mountain, where we will tour on Sunday 6/5, is top of the five sacred mountains in China and the most revered mountain of Taoism with the longest history of continuous religious worship. 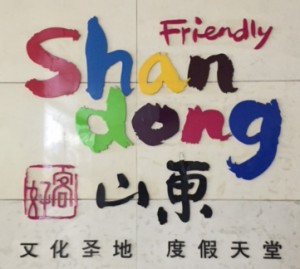 Shandong people are friendly and hospitable. Shandong food and snacks are famous and delicious. I hope that you will enjoy the natural beauty, renowned hospitality, and treasured history of Shandong during your trip. Welcome to China, everyone – Have a safety trip tomorrow! This entry was posted in Uncategorized by yuan_zhang@uml.edu. Bookmark the permalink.